Absolute Clean is Ready to Serve You! 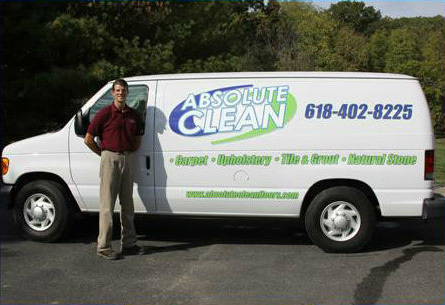 Absolute Clean is proud to provide exceptional carpet, floor and upholstery cleaning services as well as Water Damage Restoration and Fire & Mold Removal to customers throughout the communities of Belleville, Mascoutah, Freeburg, O’Fallon, Edwardsville, Glen Carbon and more. With an entire team of highly trained floor cleaning professionals, no job is ever too big or too difficult for us to handle. Whether you need to have a wine stain removed from your sofa’s upholstery or need to have your carpets cleaned before a potential client visits your office, you can always count on us to get the job done promptly. 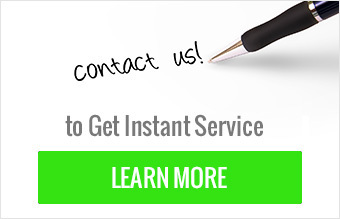 Our cleaning team is dedicated to providing you with the best cleaning service possible. We take great pride in our extreme attention to detail, helping us bring you the results you want to see whenever you hire a professional cleaning service. Moreover, our team is equipped with a variety of cleaning equipment and solvents, allowing us to adjust our cleaning methods to the type of stain we are dealing with. As a result, you can kiss that stain goodbye the moment a member of our team knocks on your door. A Trusted Name throughout Belleville, O’Fallon, Mascoutah, Edwardsville and surrounding communities for your Water Damage Restoration, Water Extraction, Fire & Mold Removal and all floor cleaning services. Ask any of our clients and they’ll tell you that Absolute Clean is a name that can be trusted—but don’t take our word for it. 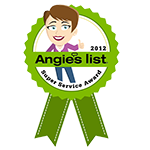 We’ve won numerous awards and recognitions over the years, including the Reader’s Choice Award from the Belleville News Democrat, a Super Service Award from Angie’s List, and certification from the Institute of Inspection Cleaning and Restoration Certification. We look forward to keeping the floors of your home or commercial space pristine.